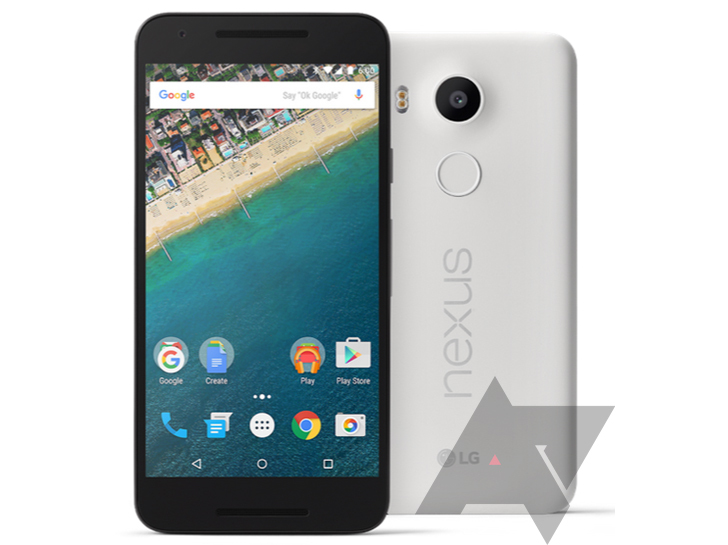 We've already gotten a good look at the Huawei-built Nexus 6P, but what of its smaller sibling, the repeatedly leaked Nexus 5X from LG? We've got a full image of that one too. It's definitely the more attractive of this year's two Nexus phones, but at least you've got a choice this time—we usually only have one. Like the 6P, the front is very plain. Although, the bezels of the 5X don't look quite as symmetrical as the 6P. There are two grilles on the front, presumably for front-facing speakers. On the back is a fingerprint sensor, and directly above that the camera lens. There's a slight bump around the camera, but it's less jarring than the black bar on the 6P. The 5X is expected to have a 5.2-inch 1080p screen and a Snapdragon 808 chip. It should also make the jump to the new USB Type-C standard. The Amazon leak from earlier listed a weight of 177g, which seems too heavy for a 5.2-inch screen device. That's heavier than the Note 5. I'd bet on that being a mistake. We're also still not sure about the RAM as we heard of 3GB, but both Amazon and this Geekbench benchmark (which could be fake) list 2GB. The Amazon listing also cited three colors—charcoal black, ice blue, and quartz white. So, black and white are pretty standard for phones, but what about this "ice blue" thing? In the image above it looks almost green. We are assured, though, this is a light blue phone. It's hard to judge how something like that will look until you see it in person. We can also see the entire back panel of the white phone in this image, revealing once again the laser autofocus window. 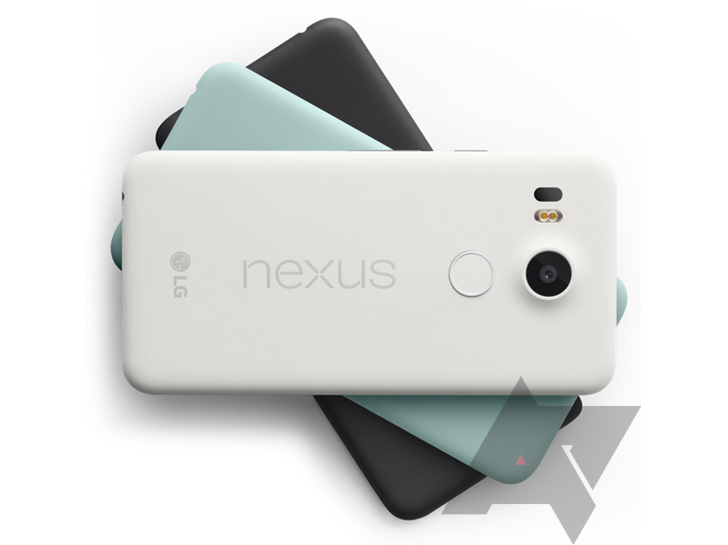 It's just a few days until the official unveiling, so hopefully we'll get a closer look at this Nexus phone soon.